When someone goes to a bank and deposits money, if you look at the small print, you don’t actually own that money, you’ve simply loaned it to the bank. The banks will then turn right around and lend ten to one or whatever leverage they determine to use with your cash. Well, when there is a run on the banks, as there has been in Europe, the money is printed by governments and given to the customers to calm things down. Yes, this will include a scandal at the LBMA in those unallocated accounts. The paper leverage in the LBMA system is off the charts. 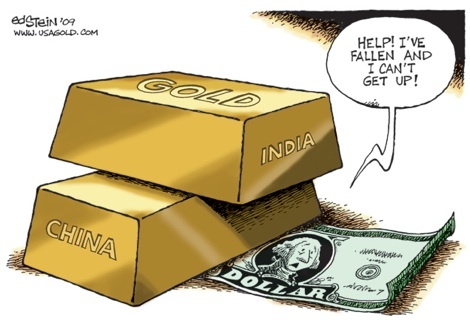 Investors believe their gold and silver is sitting in those unallocated accounts, and they will be in shock when they find out it isn’t there.